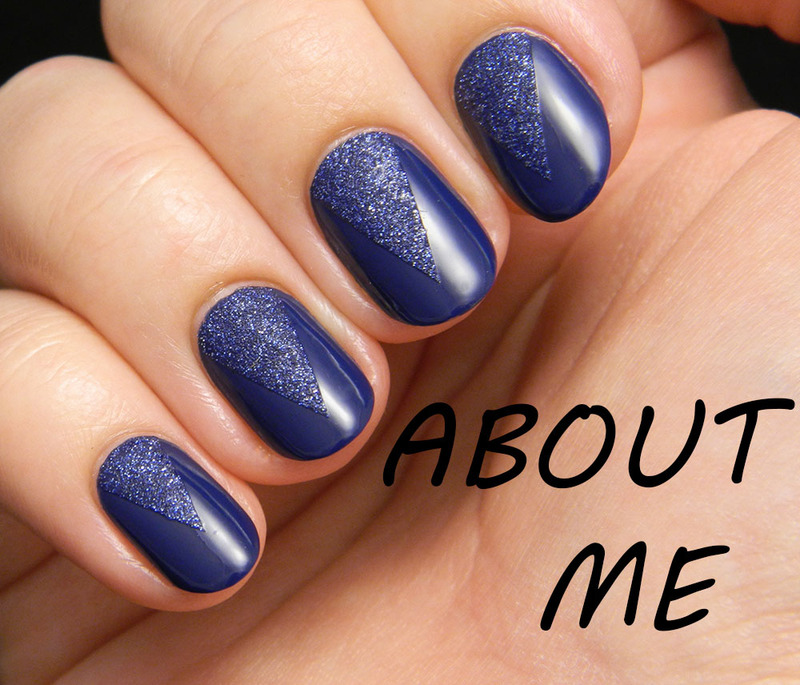 The polish I'm talking about is Sally Hansen Barracuda from the Complete Salon Manicure line. It's the perfect pastel baby blue creme that goes on like a dream in two thin coats. There's no chalkiness or sheerness with this one, which is really great. 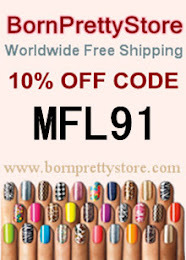 I can see myself using it a lot as a base for nail art in the future, which is why I decided to get it in the blog sale. 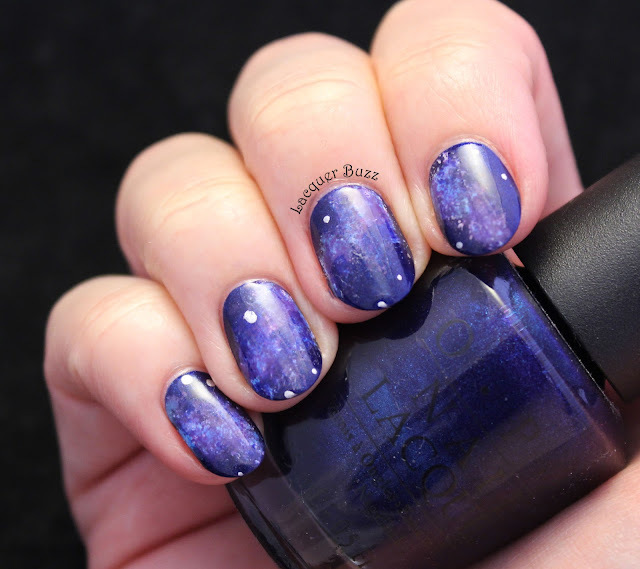 I decided to do some holo stamping using Color Club Over The Moon. 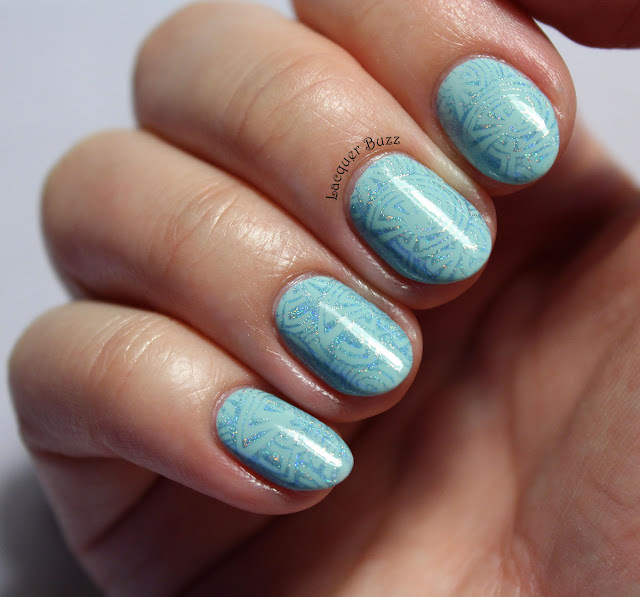 It doesn't stamp that great because the color doesn't come out as intense, but I think it works as a subtle stamping over such a light color. I picked an image from plate Moyra 08 Geometry that worked perfectly. I just wish my nails were longer so I could fit more of the pattern on them but they weren't in a great state so I decided to shorten them. I did something different for today's post, namely I took the pictures using a white background. I'm not sure how I feel about it so please let me know what you think in the comments. All pictures are in direct light to show the holo. This was such a delicate manicure and I enjoyed wearing it for a few days. I'm definitely gonna use Barracuda a lot in the future since it has such a great formula and lovely color. 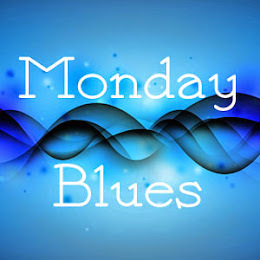 Don't forget to check out the rest of the Monday Blues by clicking the links below!